Microsoft unveiled the new Surface laptop today. It sports a 13.5-inch screen,a clamshell body, and a keyboard covered in Alcantara fabric, the same material used for premium Surface Pro covers. Microsoft want to steal all those Apple fanatics using the basic macbooks by this beautifully crafted laptop promising a wooping 14.5-hour battery life. 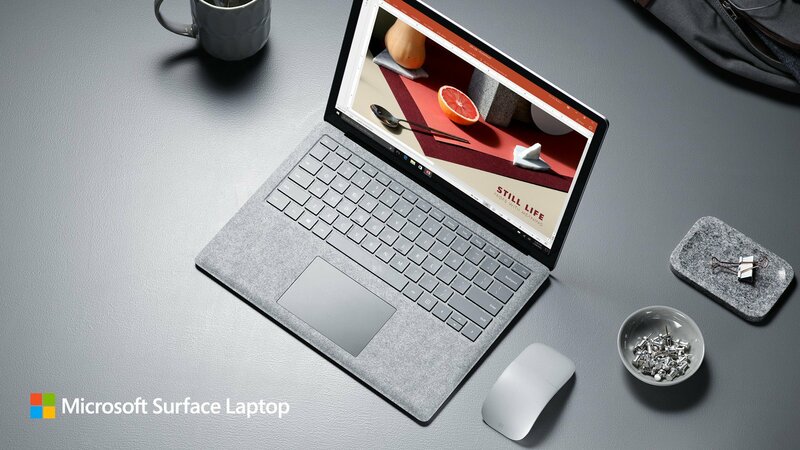 The Surface laptop will run Windows 10 S, which is more secure and streamlined, instead of the real WIndows 10 to offer better battery life and performance. However, the trade-off for those perks is that Windows 10 S won’t let you install any software that’s not from the Windows Store app market. This we think is particularly designed to stop software piracy and use of freewares , which will make more money from the app store for the giant Microsoft. The bright side is that you can upgrade the software version by a small fee of $49. How people will react to this is to be seen after the launch. The laptop is particularly aimed at the students who might need a real laptop instead of a tablet like the Surface Book. The base configuration with Core i5 processor, 128GB SSD, and 4GB RAM will set you back $999. It is expected to be fully released on June 15. 10 must-have Android apps you should download right now!